Dil Se..: Show Me Your Cake! After the edition of Show Me Your Lunchbox, I am here with another interesting event - Show Me Your Cake! This being a festive and holiday season, there is always a reason to bake delicious cakes. Hoping to receive some pretty cake entries! Here are the guidelines to send in your cake entries. Bake a cake and post it on your blog during the event (December 14-Jan 15). If you already have an entry posted, please reposted it during the above period and link back to this announcement. You can send in a maximum of five entries. Eggs are allowed. You can send in any type of cake. You can also send in cakes made using microwave or pressure-cooker. Email me the following details to divyablogs[AT]gmail[DOT]com before January 15th. I will be posting the roundup of Show Me Your lunchbox soon. You can also have a look at the earlier editions. Once again nice theme...will surely send my entry. Will try to send in my entry...great event for the holidays. oh thats a wonderful event..
Nice theme, count me in. That is great pick- I will keep in mind! Lovely festive theme. Hope I don't miss this time. I am sure you will be flodded with entries. Happy hosting. Count me in for this sure. Great event. Pity I posted my Christmas Cake before the announcement of the event. perfect with the christmas bell ringing. Count me in Divya. Baking is not my cup of cake!!!(Coffee!) Sorry dear, but will wait for round up. All the best. Oh, I have an entry for this - great! Happy hosting Divya... It has been long since I baked anything.. want to make it for this event..
hey divya, im seeing all the events in ur blog which i have missed out when i was on a long break.. good to catch up wit this event atleast.. will try to send one.looks like u have change the look of ur blog.. it looks good..
Are we allowed to send in previous posts from the blog as an entry? very nice theme, particulary with christmas nearing. Will try to take part this time. Hey Divya , i would love to send something for this event and its christmas too ,but i'm not much of a baker . Any suggestion for me to try my hands on :). Hey divya, thanks for posting another even. I will send the entry soon. wow what a wonderful idea sending my entry.This is all new to me. Fantastic idea!! And I have just the thing for it ... Count me in too ... thanks a ton! Will be sending my entry tomorrow, Divya. 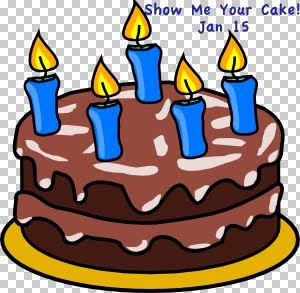 Just now noticed that the URL is show-me-your-salad instead of show-me-your-cake. Hi, I have sent my entries for this event.. Nice theme..
Hi Divya.. I can't find your roundup on this blog..are you sure it's posted? I gave you my entry.